– a hotel 110′ tall; Trump’s along the Mohawk? 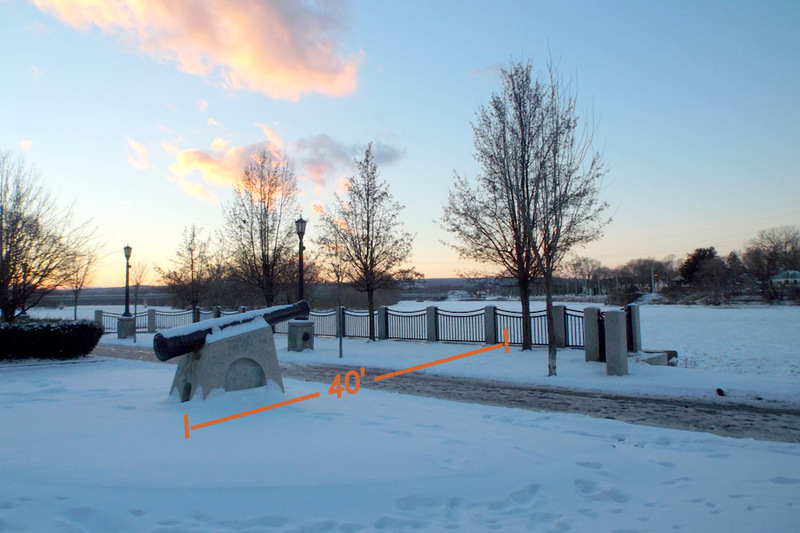 – click this link for Comments to the Planning Commission on the Waterfront C-3 Amendments by David Giacalone (editor of this website), on Wednesday, January 14, 2015.
update: The pleas of over half a dozen Schenectady residents that the Planning Commission not recommend such provisions as 110′ buildings, 40′ setbacks, giant pylons, and 20,000 sq. 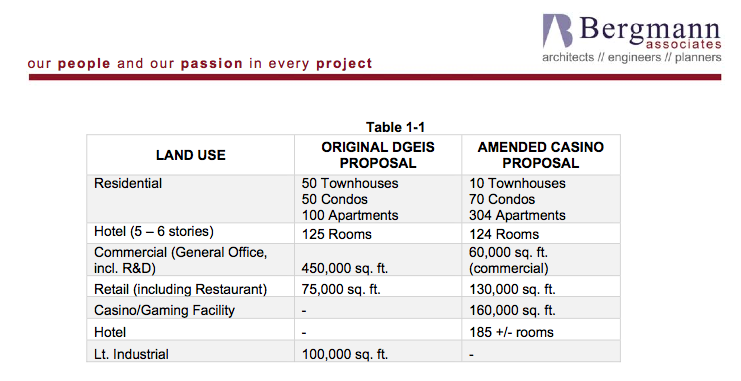 ft. of signage, and take more time to research materials and have staff and the developer submit more specific plans, below making its recommendations. Such comments made no difference at all in the final results. Is there anything Schenectady’s Mayor and City Council won’t do for their Casino Cronies? The gifts to the future Casino Owners in the proposed amendments to the City’s waterfront zoning regulations could scarcely fit on a river barge, much less under a Christmas Tree. In changing the C-3 Waterfront Mixed-Use ordinance, City Hall proposes to give the Rivers Casino group significantly more leeway in designing their facilities than the Applicant ever asked for, or said was needed, in its public statements. As a result, the Mohawk Harbor Riverfront and Erie Boulevard “front yard” could be more crowded, gaudy and tacky than the proponents of this “modest” project have ever given us to believe. In reviewing the proposed changes, you might want to ask yourself just when the Mayor, Council President, and Metroplex Chairman knew of these changes. Thanks to the Daily Gazette, we have online access to the proposed amendments to the City’s C-3 Waterfront Mixed-Use District; click for the Proposed “C-3/Casino” Amendments. 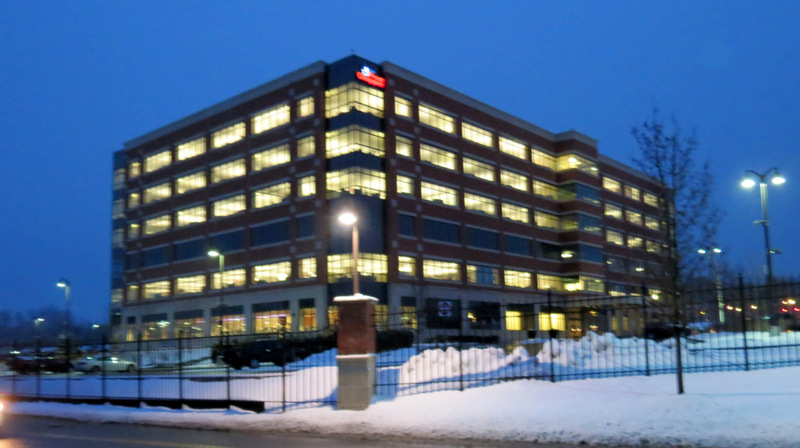 Neither the City Council agenda for Monday January 12, 2015, nor the Planning Commission’s agenda for its meeting on Wednesday, Jan. 14, included the proposed casino zoning amendments, despite the topic being on the agenda of each body. Click the following link for the Current C-3 Zoning Ordinance, which was last amended in 2009. 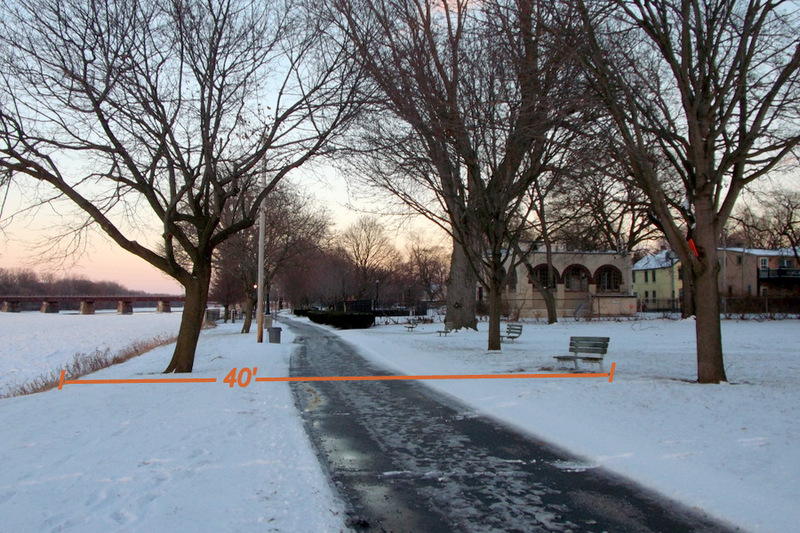 How tall is 110 feet? 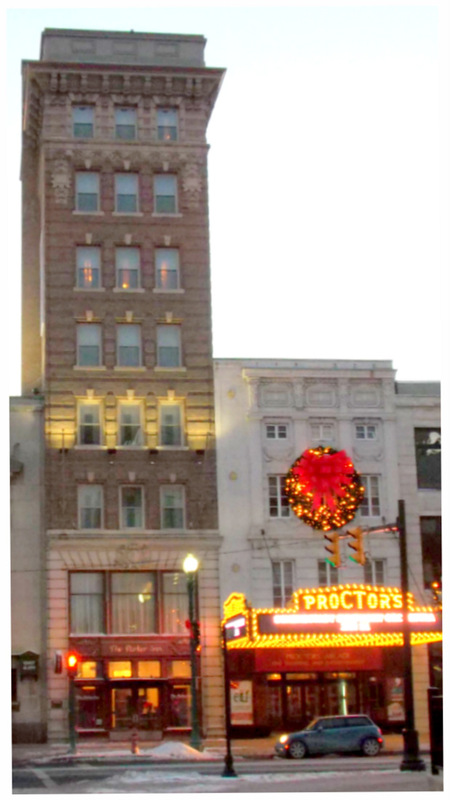 Proctor’s nextdoor neighbor, the Parker Inn was historically Schenectady’s tallest building. (see photo to the right of this paragraph) The Parker Inn is 98.56 ft. with 8 floors. The former St. Clare’s Hospital, now called Ellis Hospital McClellan Campus, is a mere 69 ft. tall, with 5 floors above ground. 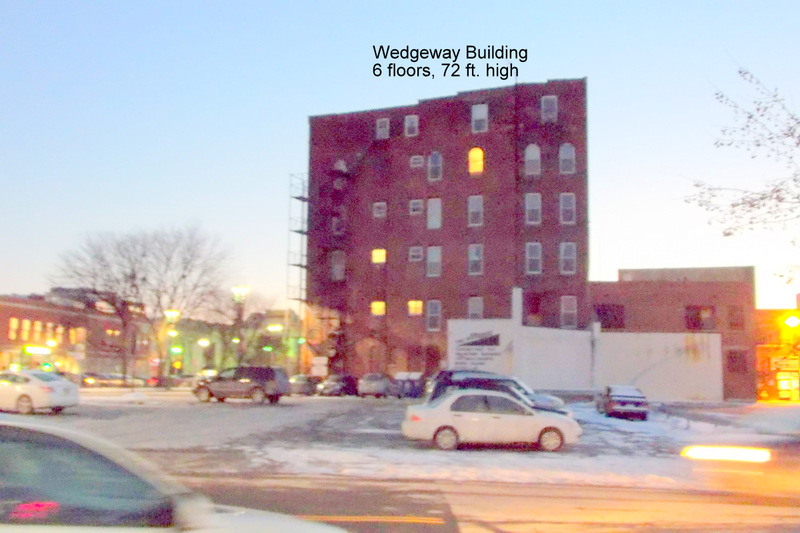 Even the Wedgeway Building at State and Erie is only 72 feet, with 6 floors. 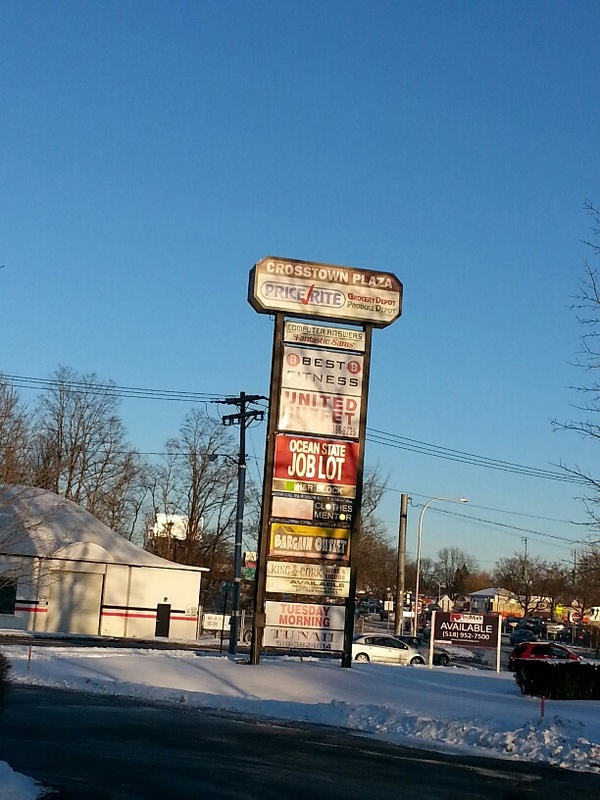 (Those three “tall” Schenectady buildings average about 12’5″ per floor.) 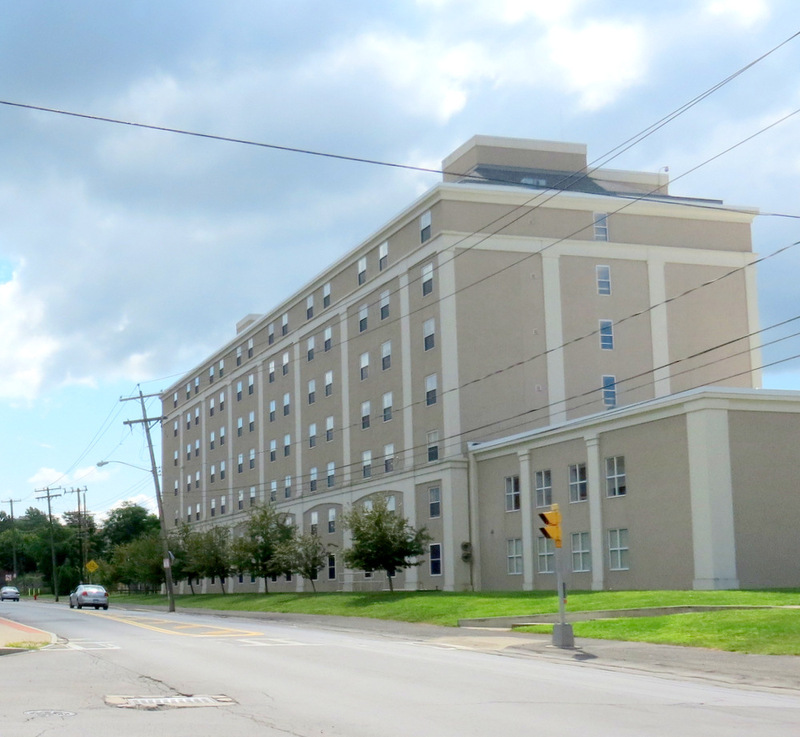 Imagine a building many times larger in bulk and 11 feet higher than the Parker Inn, with far less grace, enhancing our scarce Schenectady River frontage. Important economic question: If Rivers Casino wants a hotel this big, how much will its promotions to fill the Casino Hotel cannibalize other quality hotels in Schenectady? 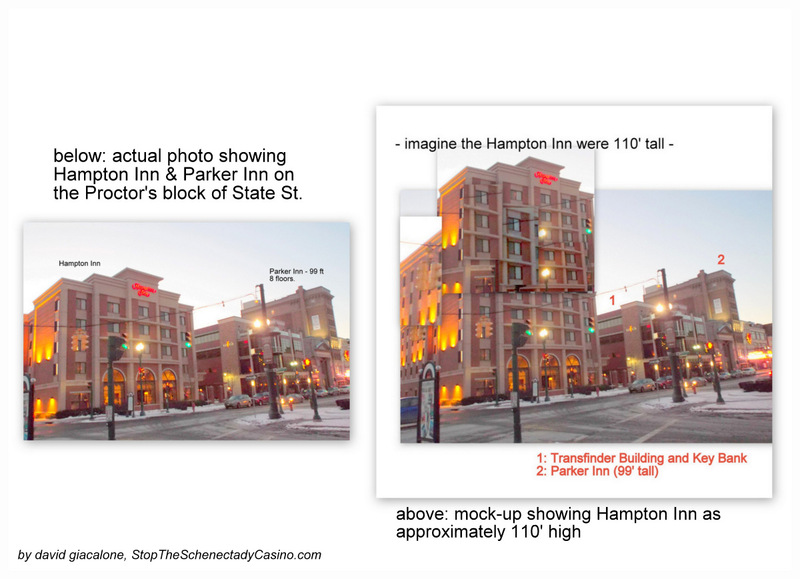 The sly Applicant never stated how many floors it hotels was likely to be, while indicating consistently that the separate, Galesi marina hotel would be 5-6 floors, and that the casino hotel would have 50% more rooms: 185 “+/-“, compared to 124 rooms. Union College Residence Hall, 450 Nott St. Note: The bike-hike trail could be 18 feet from the hotel. 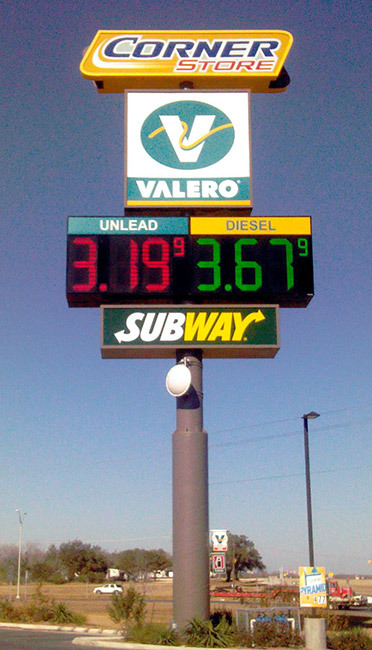 Pylon signage in the 80-foot-range is traditionally used by a business near a highway in order to give drivers traveling at 70 mph information about the service offered in time to allow them to safely get off at the next exit. The sign industry calls such structures “freeway pylons.” For reasons too numerous to list, there is no analogous need in the situation of the Schenectady Casino. By merely suggesting the possibility of an 80-foot pylon, Rush Street and Galesi Group demonstrate a brutish lack of sensitivity to aesthetics, safety, neighborhood traditions, and the image and reputation of the City of Schenectady — not to mention the truth. 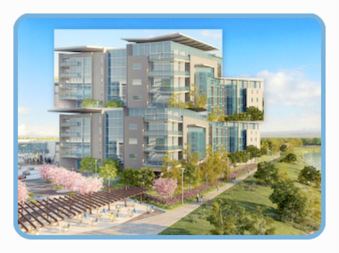 A few months ago, the Applicant based its claim of having no negative impact on cultural resources and sensitivities (and fuddy-duddies worried about their viewscape) on the fact that you could not see their facility from the Stockade. They even said the RR underpass trestle on Front St. would block our view. Back then, we did not agree, and a casino facility with a much taller hotel and a monster pylon, is most probably even easier to see. Also, those who have long sought attractive entryways into the Stockade might not be pleased with that pylon, even if it had a Stockade sign with directional arrow. [sample pylon] Changing Electronic Messages. 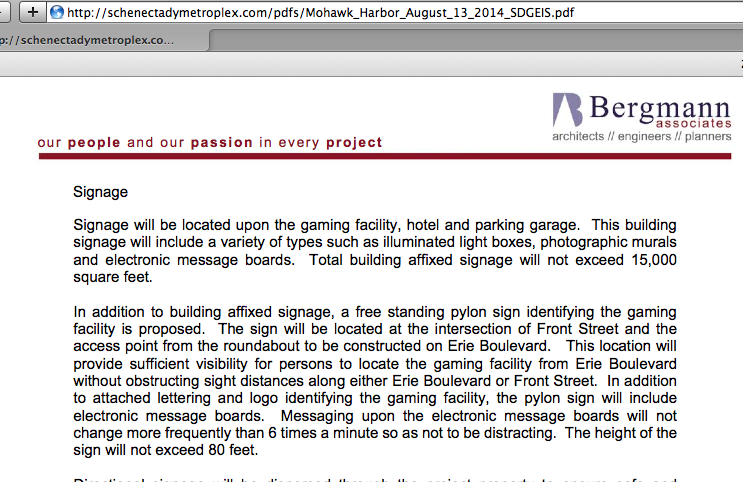 It is the giant pylon that will have, in addition to lettering and a logo for Rivers Casino, “electronic message boards.” The safety-minded Casino assured us in its impact statement that “Messaging upon the electronic message boards will not change more frequently than 6 times a minute so as not to be distracting.” Once again, rather than point out in amazement that current law only allows messages to change once per minute, and not even Proctor’s new marquee exceeds that pace, City Hall apparently said, “Heck, why wait 10 seconds to change a message, we’ll let you do it every 8 seconds,” which is 7.5 times a minute. Finally, it is difficult not to be suspicious of the statements and tactics of the Casino Collaborators after seeing them in action since the Spring. The generous give-aways to the Casino owners and developer are perhaps part of a version of a “hairy arm” ruse: That is, City Hall is making outlandish proposals, so that it or the Planning Commission can look magnanimous and reasonable when they pull back a bit on an outrageous proposal or two. That may make it harder for dissenters to vote no, allowing the members to pass pared-down but still extreme concessions to their Casino Cronies. We have not had a chance to study the proposals in depth, to see how other municipalities and planners have dealt with problems presented, and to uncover — much less examine — the reasoning behind each major proposal in the C-3 zoning ordinance. Now that they have their casino victory, it is time for our local leaders to start asking tough questions and doing their homework before passing major zoning changes. 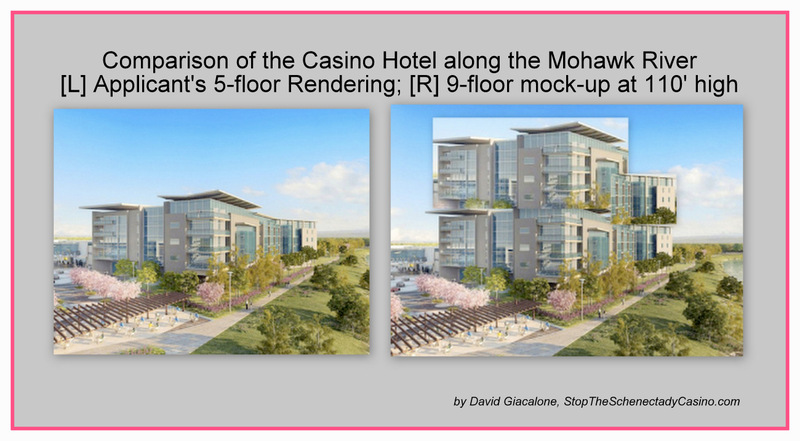 This entry was posted in punditry/viewpoint, Schenectady Casino, Urban Casinos, Zoning/Planning and tagged Schenectady Casino, urban casinos, zoning for casinos by David Giacalone. Bookmark the permalink.